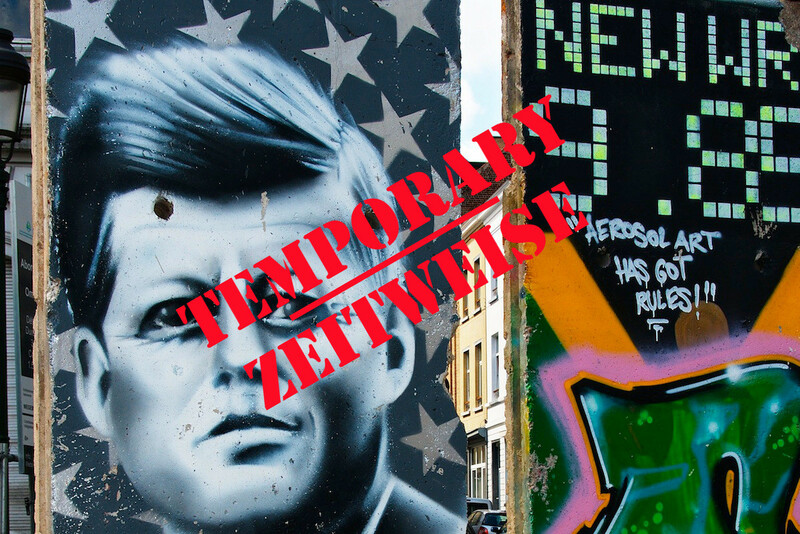 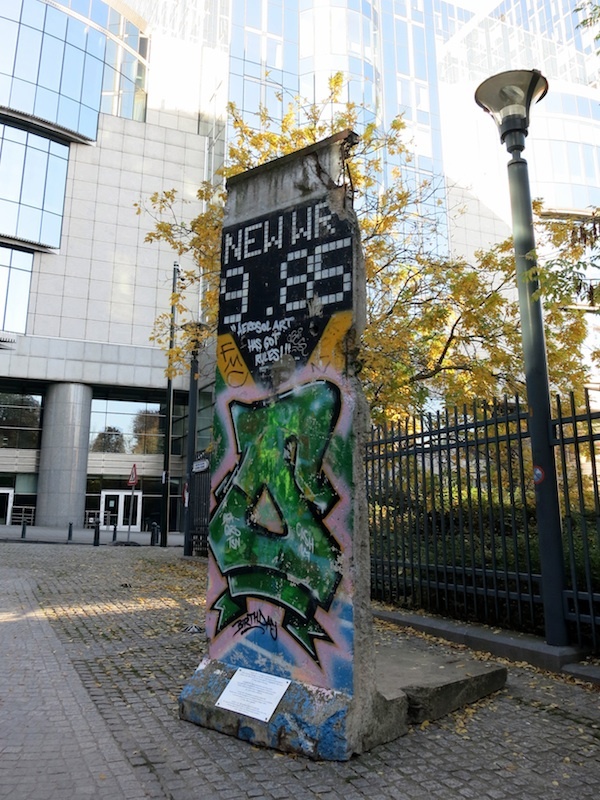 On the occasion of the 20th anniversary of the fall of the Wall the Place du Luxembourg was changed temporally into Checkpoint Charlie in November 2009: A replica of the border post was set up, also a photo exhibition and authentic parts of the Berlin Wall. 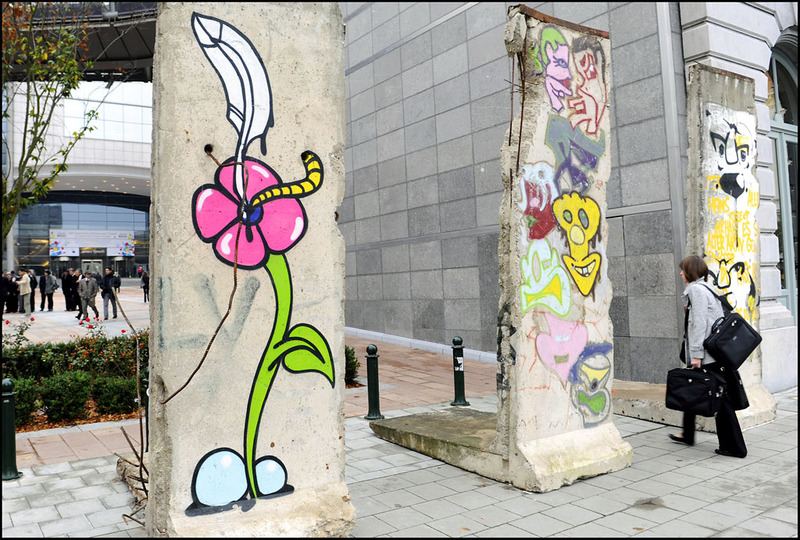 It was a joint initiative of Belgian Authorities in partnership with the Prime Minister, European Commission’s representation in Belgium, the Belgium office of information of the European Parliament and the municipality Ixelles. 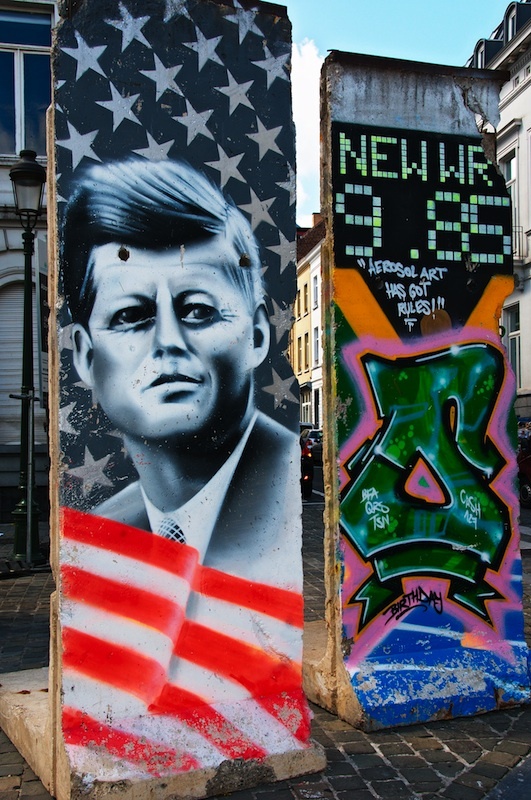 In 2012 the Kennedy segment came into possession of the European Commission. 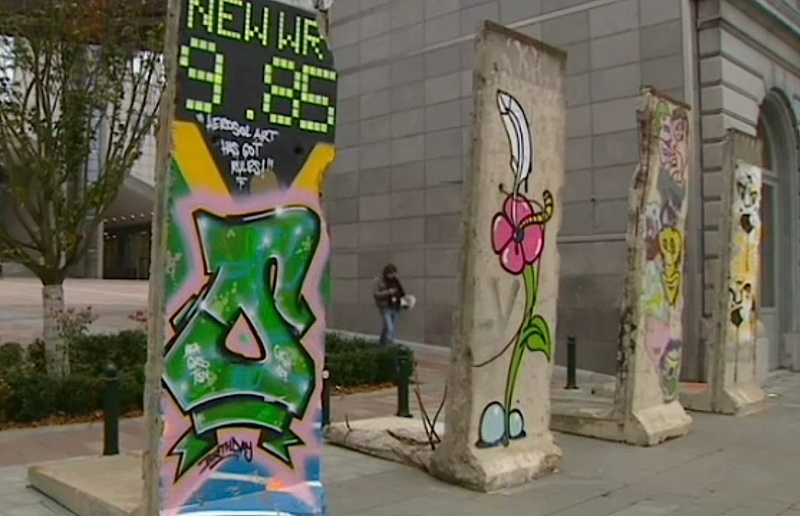 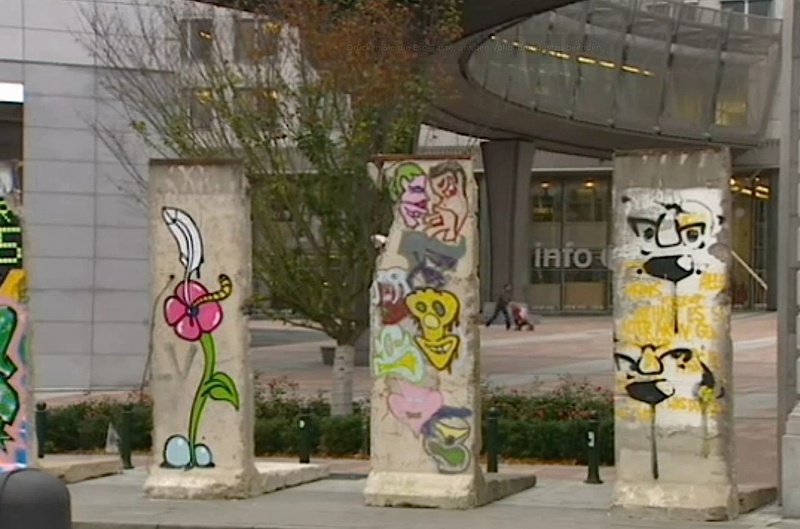 In 2015 after restauration, it was moved to the esplanade of the Berlaymont building to mark the 25th anniversary of German reunification and had got a weather protection.